A wearable sound device for audio professionals, gamers, VR enthusiasts or anyone who likes to enjoy music with immersive bass. 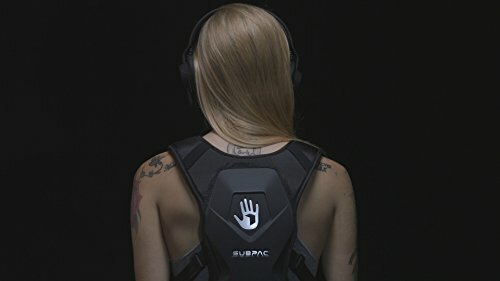 The SubPac M2 is a wearable sound device for audio professionals, gamers, VR enthusiasts or anyone who likes to enjoy music with massive bass. This patent-pending technology combines proprietary tactile transducers and membranes to bring you powerful and accurate physical sound in a wearable form factor that is quiet to the outside world. You can now enjoy your favourite bass-intensive music without waking up the family or freaking your neighbours out. Feeling sound puts less stress on your ears, so you can produce or mix for longer at lower levels. With a range of 5hz to 130hz, you’ll get the deepest lows possible. A perfect match for gamers: the SubPac is truly plug-and-play, works out of the box with your favourite games and VR experiences. 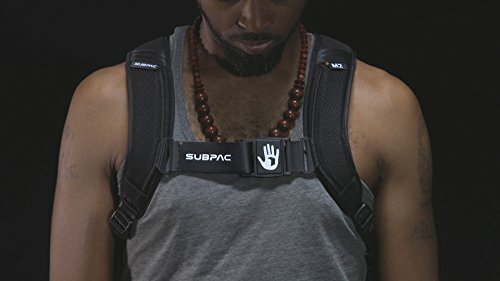 Using a simple audio out connection, the SubPac adds the physical dimension to any set up. The new SubPac M2 comes with a rechargeable lithium-ion battery, giving you more than 6 hours of use, as well as a power cord to charge or plug in directly.